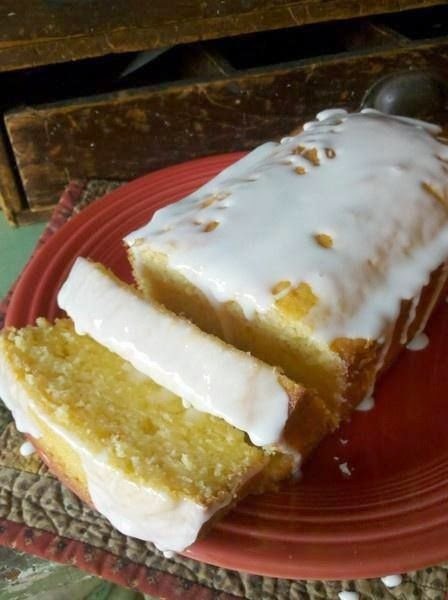 Starbucks Lemon Pound Cake | FoodGaZm..
..bursting with lemon flavor, this loaf cake will remind you of the one you can buy at your local coffee shop! Preheat oven to 350. Grease and flour a 9 x 5 loaf pan. In a medium bowl, combine eggs, sugar, butter, vanilla extract, lemon extract and lemon juice with a mixer until blended. Pour wet ingredients into the dry ingredients and blend until smooth. Add oil and lemon zest and mix well. Pour into loaf pan and bake for 45 minutes until toothpick comes out clean. (It took an hour in my oven). Remove from oven and pour glaze over it, then cool in pan on a rack.